Through the Echoes is an immense 60-minute multimedia show by multi-disciplinary artist Gabriel Coutu-Dumont. 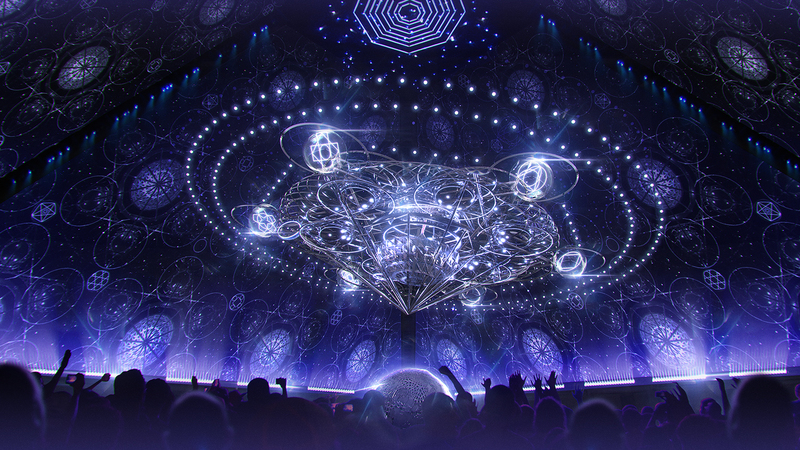 Surrounded by lasers, 360-degree projections, kinetic video aerial scenery, atmospheric special effects and spectacular lighting, spectators will be at the heart of the performance. Immersed in high-quality soundscapes, they will explore the thread of space and time, from our origins tour possible futures, as if in a waking dream. Through the Echoes is the first custom production for PY1, an original touring concept by Guy Laliberté and Lune Rouge Entertainment. Tickets between $26 and $41. Visit the event website for details. Thursday through Sunday: 12h30, 3PM, 15PM, 8PM.